Boeing has completed fit-out of the Royal Australian Air Force’s purpose-built P-8A training centre at Royal Australian Air Force Base Edinburgh, with the Commonwealth of Australia declaring the centre open for business on Friday. Minister for Defence Marise Payne and the Minister for Defence Industry Christopher Pyne announced the handover of the P-8A Poseidon simulator and training systems at RAAF Base Edinburgh. "This $470 million facility marks the beginning of a transformation of our training that will support Air Force’s ability to meet emerging threats and future challenges," Minister Payne said. The facility is part of the government’s $5.2 billion investment in our new P-8A Poseidon maritime surveillance aircraft. These cutting-edge aircraft conduct a range of tasks including anti-submarine warfare; maritime and overland intelligence, surveillance and reconnaissance; electronic support; as well as supporting search and rescue missions. "The facility will deliver over 39 separate training courses, which will minimise training demands on the P-8A Poseidon aircraft, reducing aircraft fatigue, increasing safety and improving availability for higher priority tasking. The training system will be maintained and supported by Boeing Defence Australia, creating up to 30 jobs," Minister Pyne said. As the largest P-8A training facility outside of the US, Boeing Defence Australia vice president and managing director Darren Edwards said Boeing’s state-of-the-art trainers will ensure RAAF pilots and mission crews are prepared to take full advantage of the P-8A Poseidon capabilities for any mission, any time. "We are incredibly proud of the comprehensive training solution we have installed to support Australia’s new maritime surveillance capability," said Edwards. The new centre accommodates a large collection of advanced P-8A operational and tactical training devices including two pilot simulators, two Air Combat Officer simulators, and a Boeing 737 fuselage Ordnance Load Trainer. Edwards said, "Using virtual training environments, the men and women operating and maintaining the P-8A Poseidon can realistically rehearse for complex missions at a fraction of the cost of live aircraft training." While operational control of the training facility has now transitioned to the RAAF, Boeing will continue to maintain the training devices. 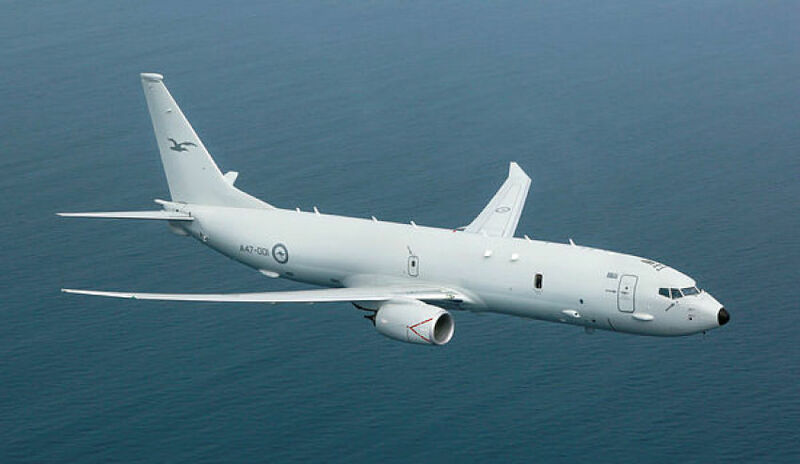 The Australian government is acquiring 12 P-8A Poseidon aircraft to be delivered by March 2020 and maintained at RAAF Base Edinburgh. Brett Newell, Boeing Defence Australia P-8A Poseidon program manager and regional director for South Australia, described the new facility as providing a generational leap for the Air Force and its fifth-generation capability aspirations. "It really is beyond the scale of any training facility currently in operation in Australia, training crews will benefit from two flight control trainers and two weapons system trainers, which can be integrated into a whole of aircraft training system for the first time, this is supported by a full-scale 737 aircraft and virtual training systems which support the flight and aircrew in the maintenance and operation of the platform," Newell said. Minister Pyne said, "The project is part of a broader intelligence, surveillance and reconnaissance hub being developed at RAAF Base Edinburgh, which will support and create highly skilled jobs in South Australia." The P-8A Poseidon is designed for long-range anti-submarine warfare; anti-surface warfare; and intelligence, surveillance and reconnaissance missions. It is capable of broad-area maritime and littoral operations. It is also effective for humanitarian and search and rescue missions. A derivative of the 737-800 Next Generation, the P-8 combines superior performance and reliability with an advanced mission system that ensures maximum interoperability in the future battlespace.